Food is always part of every travel. 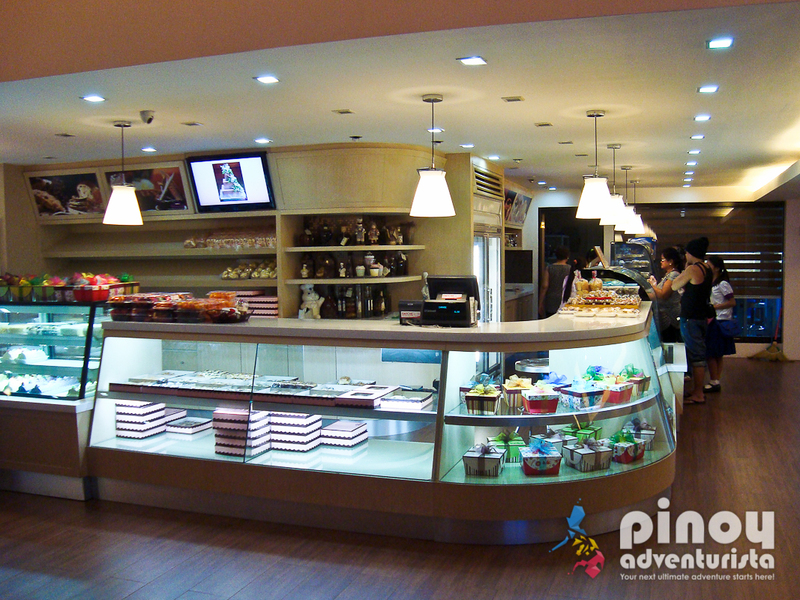 As they say, you'll know more about the place you're visiting by trying out their food. That's what we did during our recent visit to Cabanatuan City. Since this is my 3rd time to visit the city, I decided to check on some of the city's well-loved food and dining places. 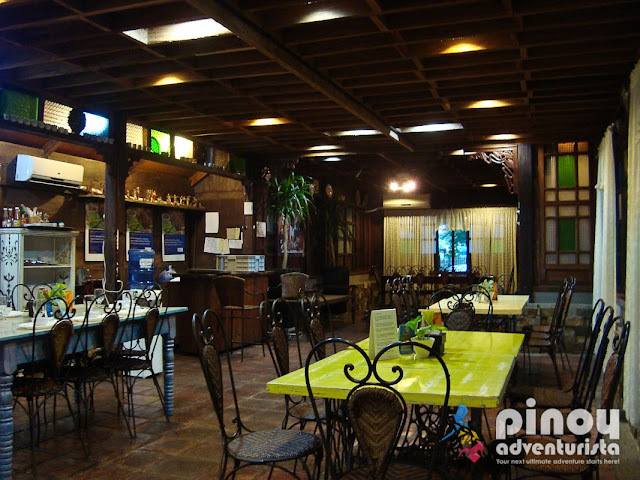 Cabanatueños also take pride with their delicious food products, the city offers a lot of dining places that will surely satisfy your hungry tummy. Here are some of what to eat and where to dine in Cabanatuan City. 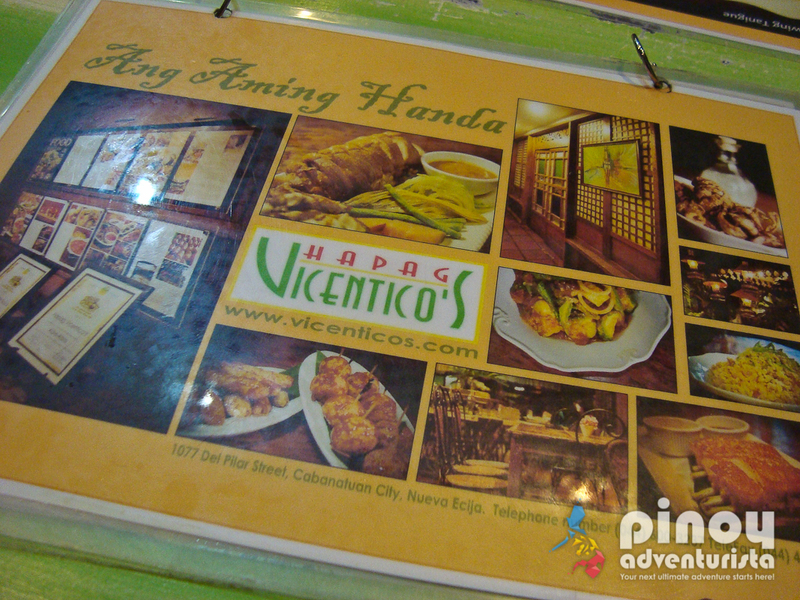 Hapag Vicentico's offers authentic Pinoy dining experience. 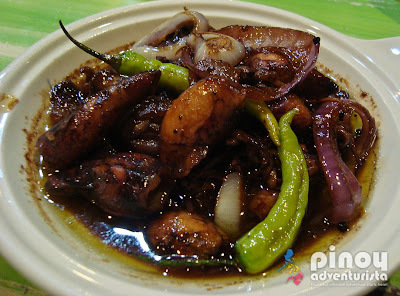 They serve an array of Filipino favorites that will surely stimulate your taste buds with rich flavors. We were able to try some of their most-recommended dishes. 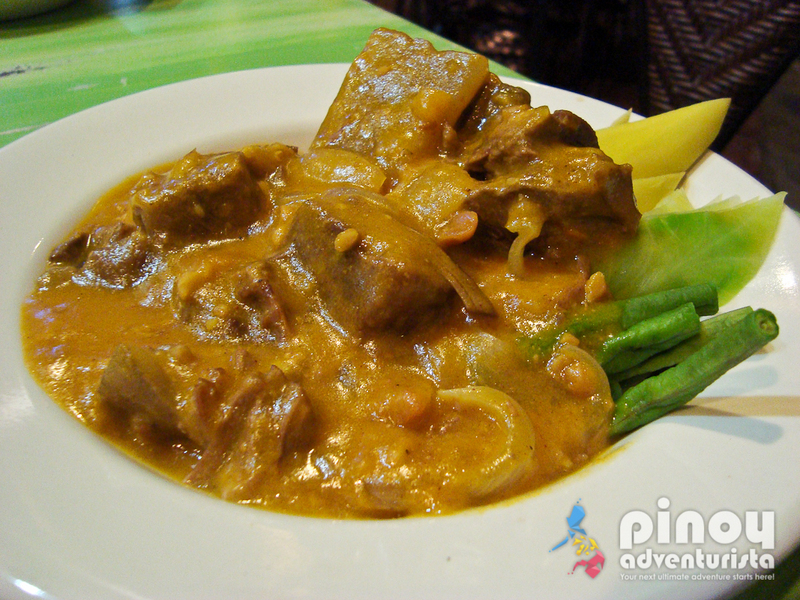 To me, their Beef Kare-kare is the must-try! It is so good! It has rich, thick peanut sauce with just the right amount of sweetness and creaminess. 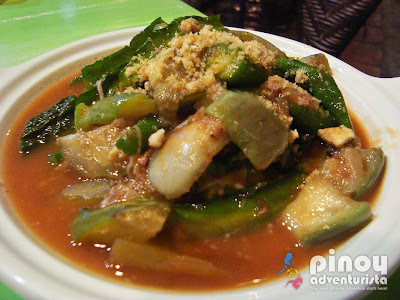 It's quite unusual because instead of pechay, they put in cabbage and pumpkin cubes which adds flavor and thickness to the sauce, plus the crunchy peanuts that you could feel in every bite. Spell m-o-u-t-h-w-a-t-e-r-i-n-g! 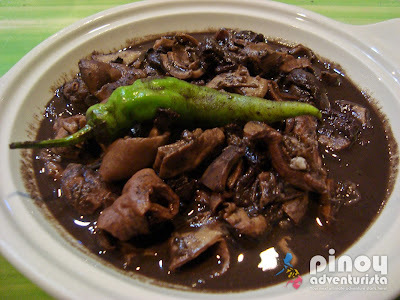 We also tried their adobong pusit, dinuguan and pinakbet. All are really good! Hapag Vicentico's is located at Del Pilar St. accross freedom park. It's so easy to find it, just take a tricycle and ask the driver to bring you there. This is where we had lunch on our 2nd day at Microtel Cabanatuan. Since it's our first time to eat here, we asked their staff as to what is their best-seller. They suggested that we try their "Sinampalukang Manok". True to their word, we were not disappointed, it has the right sour flavor and the chicken is so tender. Really a must-try at Liquid Bar and Restaurant. 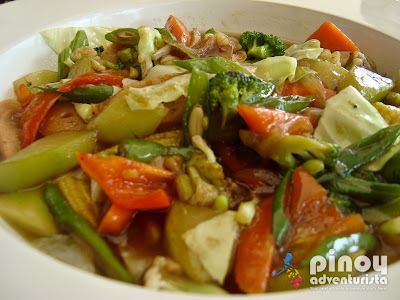 We also had their "Chopsuey" and it is also good. Another must-try is their "Dark Forest Shake", sinfully yummy! Liquid Bar and Restaurant is located at Microtel Cabanatuan in Villa Arcadia. They are open from 8:00 AM to 2:00 AM the following day with acoustic band every night. It's also a good place to have some beer and unwind after a day of exploring the city. Edna's Cakeland is definitely a wonderland of pastries in Cabanatuan City. 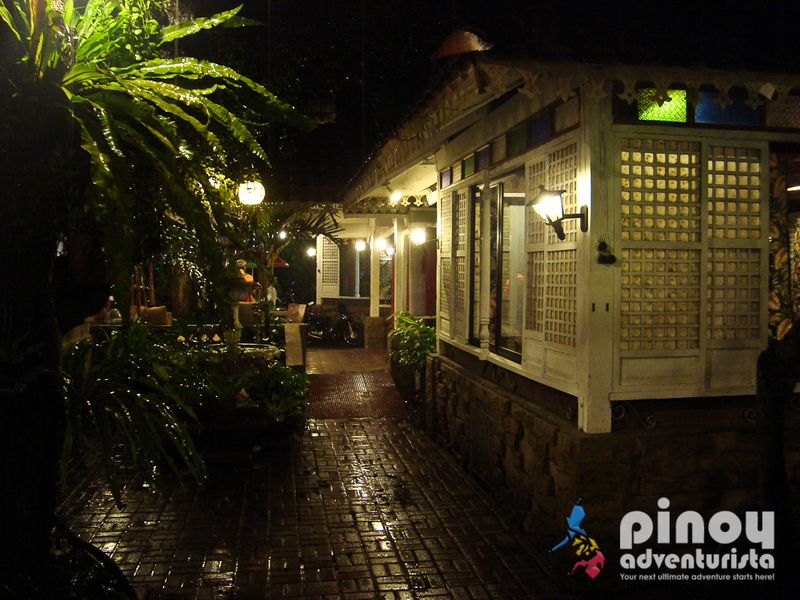 Hidden inside a subdivision, it is frequented by locals to grab some snacks and tourists looking for pasalubong for friends back in Manila. 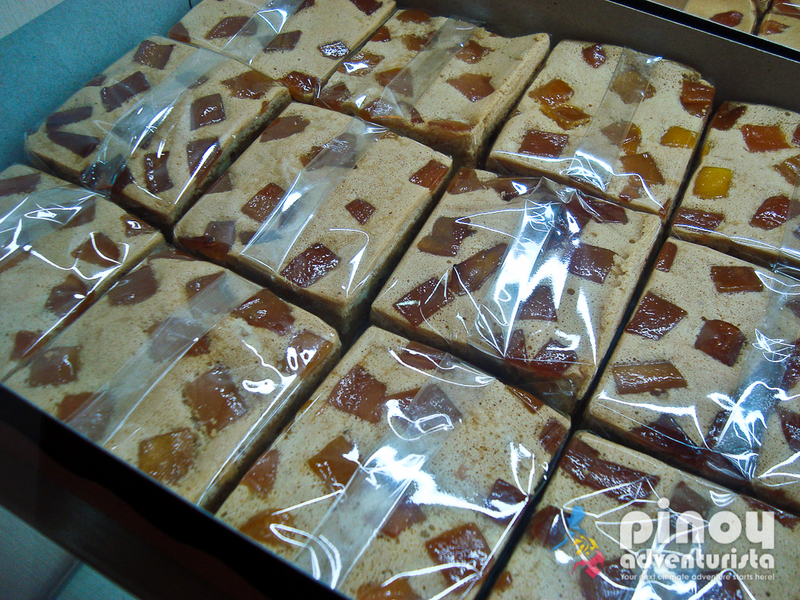 One of their best-sellers is the cheese roll which you could buy for 14 pesos per piece or 160 pesos per box of 12. I could still taste the creaminess of the cheese inside. Hindi tinipid sa cheese! It's really good! We also got to try their Yema Cake for 90 pesos. 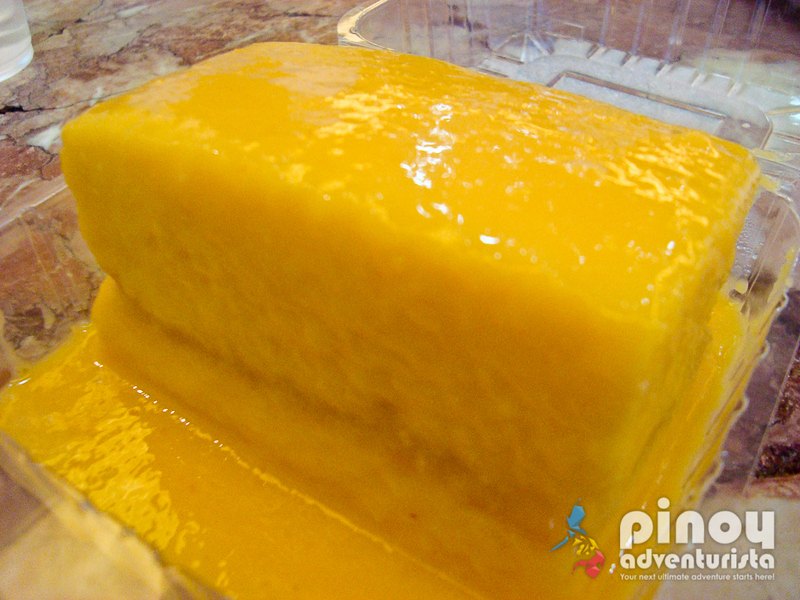 Chiffon cake covered with yema icing. It's heavenly delicious. You must try it! 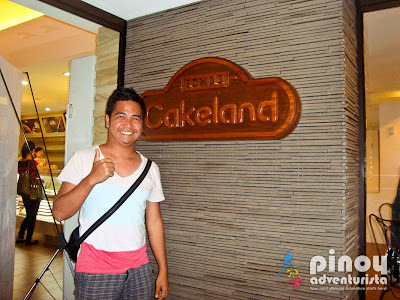 Edna's Cakeland is located inside Kapitan Pepe's Subdivision, Cabanatuan City. They are open everyday from 10:00 AM to 9:00 PM. 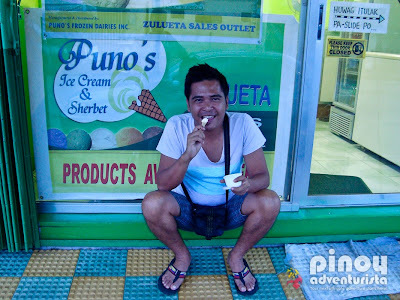 Another must-try when visiting Cabanatuan City is their home-grown ice cream called Puno's Ice Cream and Sherbet. Known as the "makers of quality made-to-order ice cream and sherbet", they have been in the business for more than five decades now. Their main branch is located at Maharlika Highway, in Barangay Bitas. They also have outlets in Zulueta St. (infront of Baliwag Terminal), Gen. Tinio St. Western Union (near Megacenter), Mabini St. (near PJGMRMC), Mayapyap Sur (beside JMJ Gasoline Station),YOGURTREE, Maharlika Highway, Brgy. H. Concepcion (infront of Metrobank). Other outlets can also be found in the towns of Jaen, Talavera, Sta. Rosa, San Leonardo, Gapan, San Jose, Rizal, Gen. Natividad and Aliaga. Their best-sellers are Cheese Cashew Macapuno, Langka Cheese Cashew, Fruit Salad, Cookies and Cream, Chocolate with cashew. Ube Macapuno and Sherbet Buko Lychee. Must Try? The Cheese Cashew Macapuno flavor! So creamy and really so good! 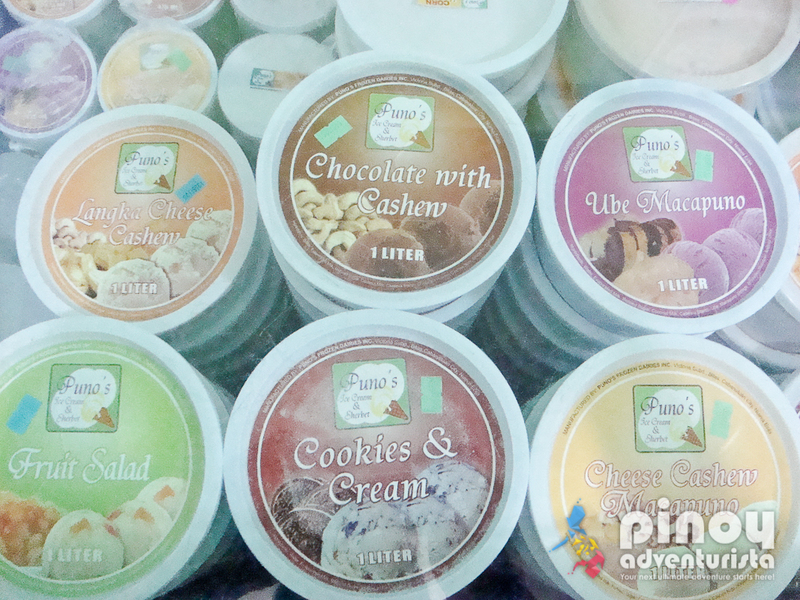 I look forward to tasting more of Puno's Ice Cream flavors on my next visit. Shing Fong Bakery was recommended to me by a local. 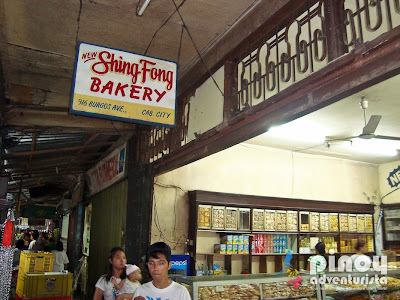 It was established in 1915, making it one of the oldest bakeries in Cabanatuan City. I heard their pandesal is the best-seller. 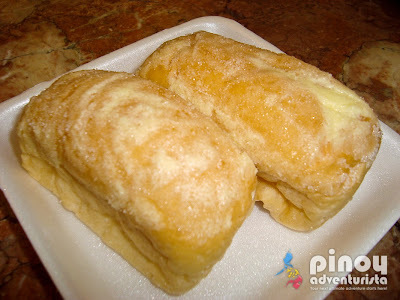 You have to be there early morning to grab some freshly made pandesal. You can find Shing Fong Bakery at the city market near Video City. An ultimate Cabanatuan pasalubong, the "Batutay" longganisa is a refreshing break from the garlicky flavor of most longganisa that we know. Its sweet taste is truly one of a kind. As the locals describe it, "manamis-namis". 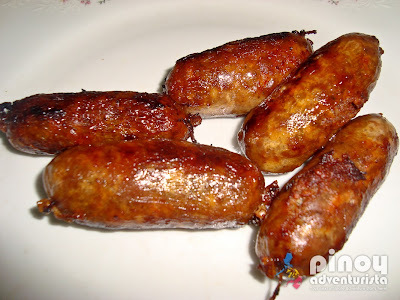 Make sure to drop by the City Market before going home to buy some good old Batutay longganisa. Eat to your heart's content and worry about your diet after. Hahaha! 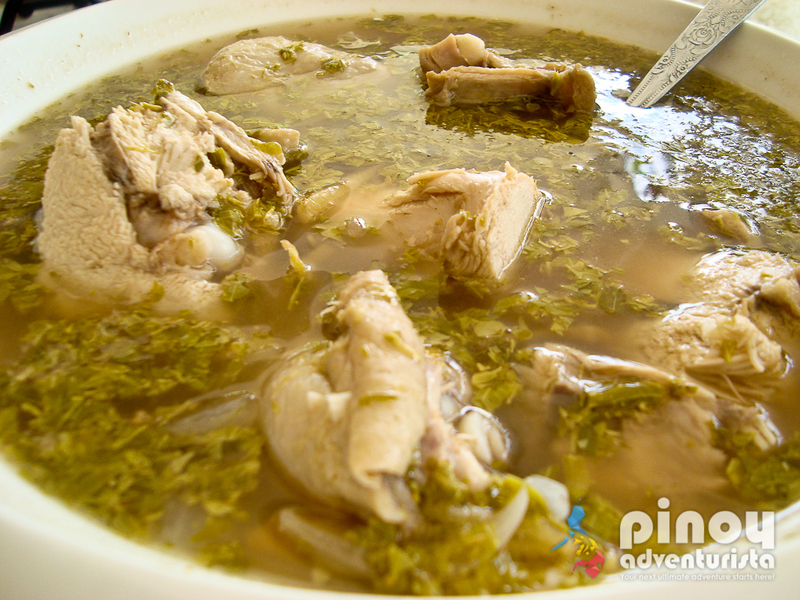 Enjoy the rich flavors of Cabanatuan City! TIP: Tricycle is the most common mode of transportation around the city. It won't be hard for you to take a ride in going to these places. The standard fare is 15.00 pesos each or it may be 20 pesos to 30 pesos depending on the distance of the place you're going. Be sure to negotiate for the fare before riding to prevent overcharging. DISCLOSURE: Except for the meals at Liquid Bar and Restaurant, we paid for everything that we had in this post. kakagutom naman ang mga pix. thanx for sharing this. the next time i go back home, i already decided that i will venture north.